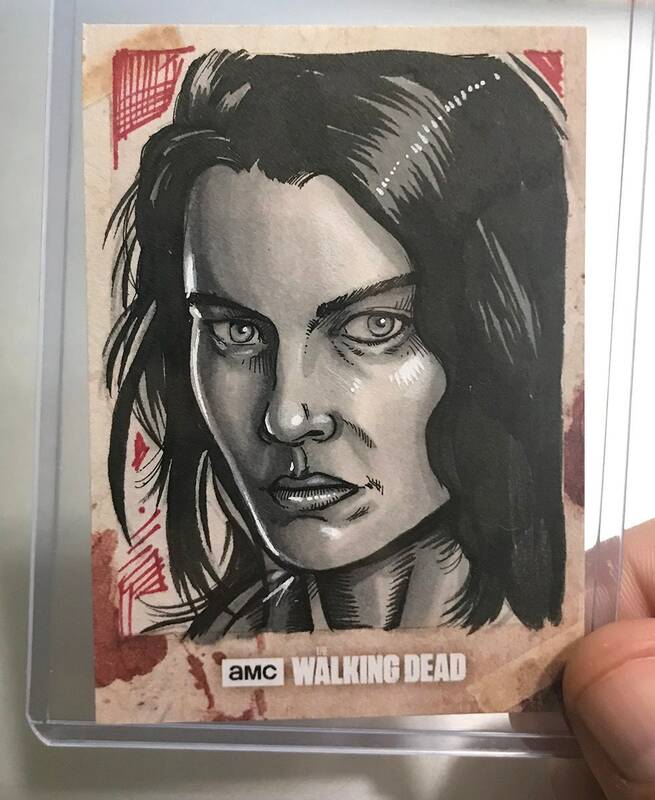 This is an original Artist Sketch Card I created, licensed by Topps for the Walking Dead Hunters and Hunted set. 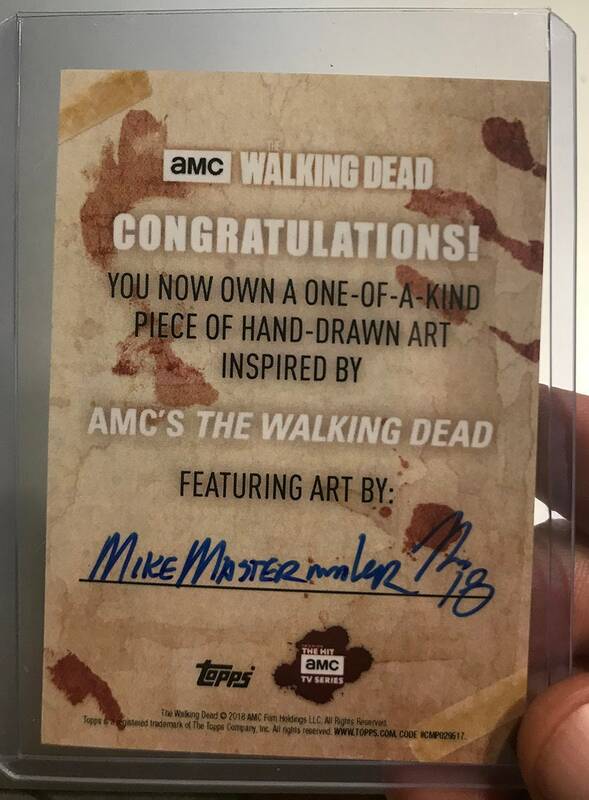 It is a 100% original piece of officially licensed AMC artwork that I created. They are inserted into packs of the set, and are quite rare. The cards offered in my shop are Artist Returns that were approved by the company for me to sell privately. They will never be reproduced, and they are one of kind items. Each one is unique and part of the set. The cards measure 2.5” x 3.5”, and are ink and marker on premiere card stock provided by Topps.